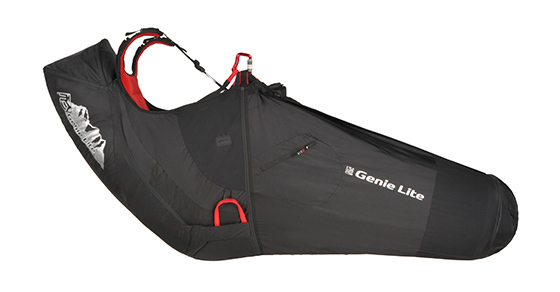 Early production batches of the Genie Lite 2 have been noted to have potential issues with the rescue handle. The rescue handle loop is too short for some models of rescue parachutes. This may cause the plastic wire pins to get stuck during deployment. To rectify this, GIN have produced a loop extender (13cm). All current and new GIN stock are supplied with a specific deployment bag with integrated handle. Previous Genie Lite 2 from <2018 have the loop extender included with the harness. Harnesses shipped before May 2016 did not come with this loop. If you require the loop extender, please contact your GIN distributor, alternatively a better solution is to buy and use the new deployment bag which is designed t make reserve extraction easier. In addition, please ensure that your rescue has been installed according to the instructions in the Genie Lite 2 product manual. If in any doubt, please seek professional advice.